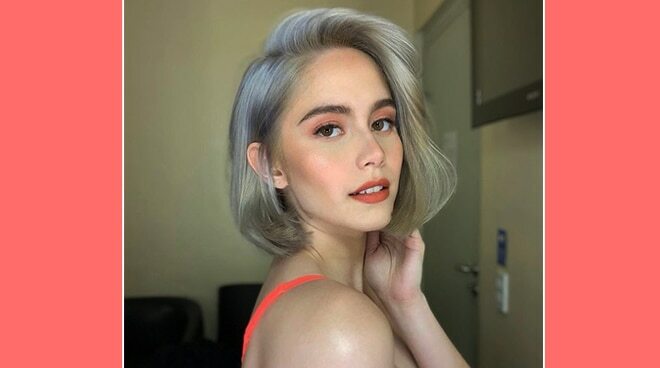 Netizens think Jessy Mendiola's new hair color perfectly fits her. Going for a lighter hair color, actress Jessy Mendiola looked summer-ready as she showed off her newly-blonde hair. The 26-year-old Kapamilya star's hairstylist Marben Talanay shared a photo of the actress striking a pose with her new hair color. "'Yung friend mong pang-barbie blogger na 'yung peg," Talanay wrote in the photo he posted on his Instagram stories. Several netizens praised the actress's new do, saying it perfectly fits her. "Bagay," wrote @mikobagadion. "Ang ganda," another netizen wrote. "Looks like [a] Hollywood celebrity. So beautiful," wrote another. Mendiola, who recently launched an online business, is also set to star in the upcoming Regal Entertainment-produced film Stranded alongside Arjo Atayde.